The heads of the International Maritime Organization (IMO) and the International Organization for Migration have agreed to work together against unsafe mixed migration across the oceans and seas in recent times. The heads of the International Maritime Organization (IMO) and the International Organization for Migration (IOM) on Monday (29 June) reaffirmed their commitment to urgently address the humanitarian crisis arising from the dramatic increase in unsafe mixed migration across the oceans and seas in recent times. 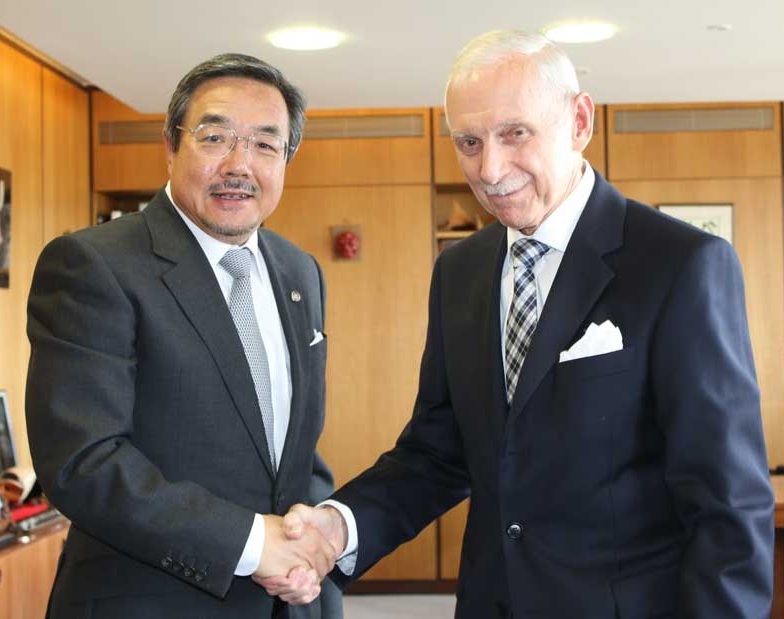 IMO Secretary-General Koji Sekimizu and IOM Director-General William L. Swing met at IMO Headquarters in London and observed a minute’s silence in honour of the thousands of migrants who have lost their lives on perilous journeys. They reiterated their concern about the loss of life, injury, trauma and serious human rights’ violations affecting migrants, asylum-seekers and refugees travelling by sea. In a joint statement on enhanced cooperation and collaboration between the two Organizations, Sekimizu and Swing recognized the need for concerted global action to address this major challenge to the international community. They pledged to work together on a number of specific actions, including the establishment of an inter-agency platform for information sharing on unsafe mixed migration by sea and the dissemination of information material on the dangers of such migration, in collaboration with other interested agencies. They agreed to facilitate discussions to find solutions to unsafe migration by sea and urged the international community to take robust measures against people smugglers “who operate without fear or remorse and who deliberately and knowingly endanger the lives of thousands of migrants at sea”. The IMO and IOM heads also agreed to promote the relevant provisions of the IMO treaties addressing the safety of life at sea, search and rescue and facilitation of maritime traffic and to promote international migration law. They agreed to support the relevant technical cooperation programmes of each organization and set up case-specific technical or advisory bodies as needed.